Iron-oxide (hematite and goethite) concretions found on Mars and Earth may have been formed by the same newly-proposed mechanism. This could be more evidence that Mars once had plentiful water outside its poles and an atmosphere rich in carbon dioxide. In 2004, using its X-ray probe to confirm their chemical composition, NASA's Opportunity rover discovered hematite "spherules" (Figure 1 (right)) about 5 millimetres in diameter on Meridiani Planum, an extremely flat plain near the Martian equator. Although the colour of hematite can vary from metallic grey through dark bluish-red to bright red, the spherules on Mars appear blue due to the presence of manganese, so they are known as blueberries. It was soon realized that hematite concretions - accumulations of iron oxide in sedimentary rock that form an outer crust or even completely replace the original rock - in the Jurassic-era Navajo Sandstone of southern Utah, U.S.A. (Figure 1 (left)), have features in common with the Martian blueberries. A debate lasted for two decades whether the earthly concretions could shed light on how the Martian blueberries were formed, especially since it has long been proven that water once existed on the Meridiani Planum. Two problems plagued researchers: no one could figure out the precise formation mechanism for the Navajo Sandstone concretions; and precursor rocks are missing from the Martian surface - the blueberries seem to have appeared from nowhere. Now, based on their work on spherical concretion formation in sedimentary rocks found on Earth, Hidekazu Yoshida, Hitoshi Hasegawa and others from Nagoya University, Kochi University and Gifu University, as well as the Nagoya City Science Museum, have proposed a mechanism for the formation of the Navajo Sandstone hematite concretions - as well as for newly-discovered hematite concretions in Mongolia from the Cretaceous Era - that also explains the missing precursor rocks on Mars. Why should this be relevant to the blueberries found on Meridiani Planum? Results from Opportunity indicated the presence of sulphate-rich minerals in Meridiani Planum as well as evidence for abundant liquid water in the distant past. So not only are the blueberries similar in shape and composition to terrestrial iron-oxide concretions, acidic sulphate water probably existed in the area. This suggests that the blueberries also formed from dissolution of pre-existing carbonate spherules thought to have formed in a dense carbon dioxide, early Martian atmosphere. 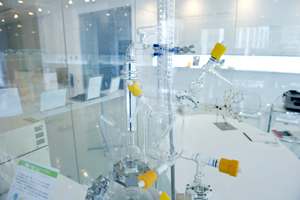 The model proposed by Yoshida et. al is consistent with the classical hypothesis that widespread carbonate deposition occurred in the late Noachian (c. 3.8 - 3.7 Ga - Giga-annum, or billion years ago), and that the carbonate then dissolved again in the Hesperian period (c. 3.7 - 3.2 Ga). Compared to the present, the Martian atmosphere before 3.8 Ga (prior to the late Noachian) was undoubtedly denser and the climate warmer and wetter. Carbonate minerals have been invoked as a possible sink for the CO2 in the denser early Mars atmosphere. However, distributions of carbonates on the present-day Martian surface are limited. 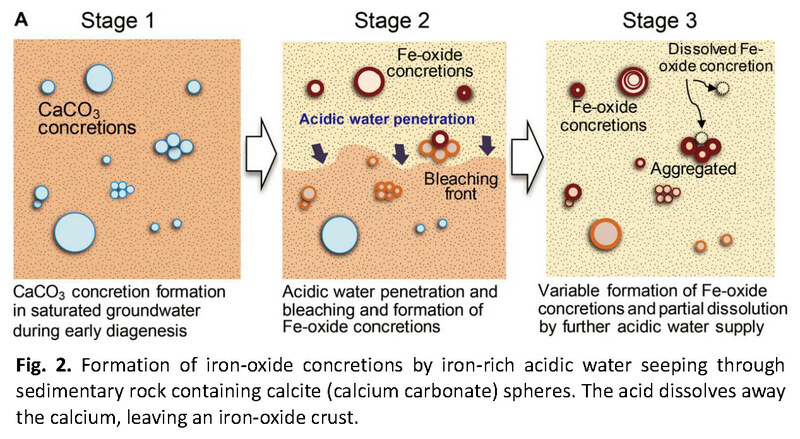 The cause of the missing carbonates can be explained by the model proposed by Yoshida et. al; i.e., dissolution of pre-existing carbonate across the Martian surface during the Hesperian period. The abundant hematite spherules in Meridiani Planum therefore can be considered as relics of precursor carbonates and evidence of a primordial CO2-rich atmosphere on early Mars. To confirm the model for Martian blueberry formation, a lander would have to verify the existence of ancient calcite remnants in an area where the influence of acidic sulphate water was minimal. As it happens, the landing site - the Jezero crater - chosen for the next rover mission, Mars2020, seems to fit the bill. The group hopes that sedimentary strata at this site preserve the carbonates they are looking for. Ancient Mars apparently hosted aqueous environments in a variety of settings in which waters ranged widely from acidic to alkaline and altered the local geology in different ways. Understanding this diverse alteration history of water-mineral interaction in each region is necessary to assess the past and present habitability of Mars. H. Yoshida, H. Hasegawa, N. Katsuta, I. Maruyama, S. Sirono, M. Minami, Y. Asahara, S. Nishimoto, Y. Yamaguchi, N. Ichinnorov, R. Metcalfe. Nagoya University has a history of about 150 years, with its roots in a temporary medical school and hospital established in 1871, and was formally instituted as the last Imperial University of Japan in 1939. 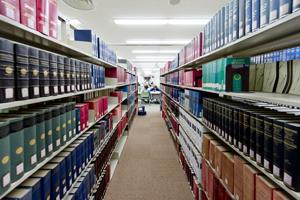 Although modest in size compared to the largest universities in Japan, Nagoya University has been pursuing excellence since its founding. Six of the 13 Japanese Nobel Prize-winners since 2000 did all or part of their Nobel Prize-winning work at Nagoya University: four in physics - Maskawa and Kobayashi in 2008, and Akasaki and Amano in 2014 - and two in Chemistry - Noyori in 2001 and Shimomura in 2008. In mathematics, Mori did his Fields Medal-winning work at Nagoya University. 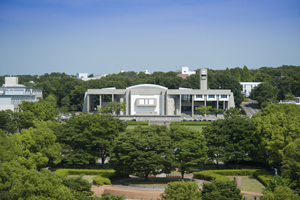 A number of other important discoveries have been made at Nagoya University, including the Okazaki DNA Fragments by Reiji and Tsuneko Okazaki in the 1960s; and depletion forces by Asakura and Oosawa in 1954. In addition, Nagoya University currently engages in research and educational programs aimed at helping developing countries in Africa and Asia improve food security, nutrition and environmental conservation. For example, Nagoya University researchers have potentially solved the striga (witchweed) problem, which causes $13 billion damage annually in Africa to food crops like maize and sorghum. Field tests are now underway in Kenya. In Asia, local farmers are being trained by Nagoya University researchers in growing food crops more sustainably. And new rice varieties have been developed at Nagoya University that can feed more people and thereby reduce food scarcity in developing countries. Many other such programs are currently being undertaken by Nagoya University researchers. Nagoya is Japan's fourth-largest city with 2.2 million residents and third-largest metropolitan area after the Tokyo and Osaka urban areas. Nagoya's surrounding Aichi Prefecture has led Japan in industrial output since 1977. Greater Nagoya produces 51.7% of Japan's total automobile output and 45% of the country's auto parts. This represents 8.2% of global automobile production. The Greater Nagoya Area produces 27% of Japan's manufacturing output (versus 11% in Greater Tokyo and 10.2% in Greater Osaka) and 24% of Japan's exports. The Greater Nagoya area is the hub of Japanese manufacturing industries, producing over 40% of major manufacturing categories such as automobiles, automobile parts, machine tools and aircraft parts. Nagoya Port is Japan's largest in terms of import and export tonnage and in terms of export value. The Greater Nagoya GDP is $US461 billion: as a country it would be 22nd in the world, below Poland and above Belgium (Japanese Cabinet figures, 2015).